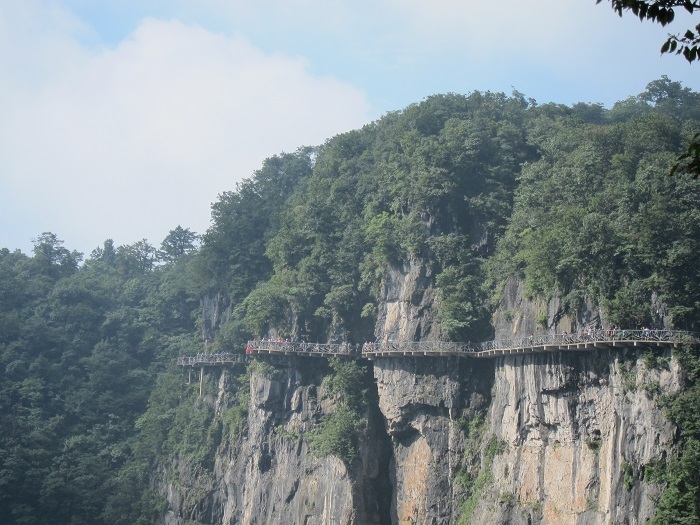 The Tianmen Mountain is a well known mountain which is located next to the city of Zhangjiajie in the northern part of the Hunan Province, within the People’s Republic of China. 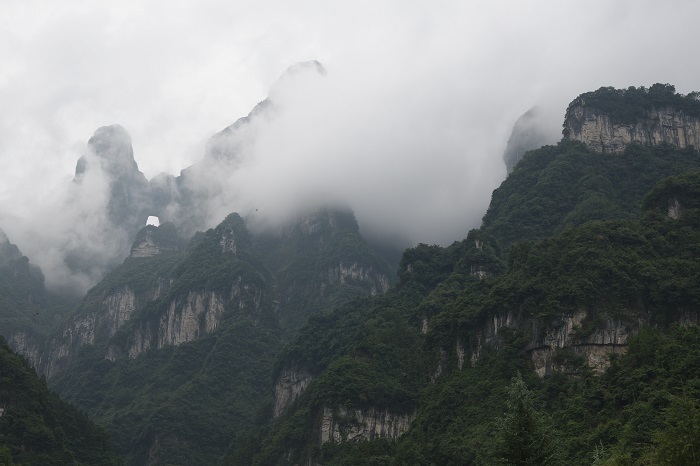 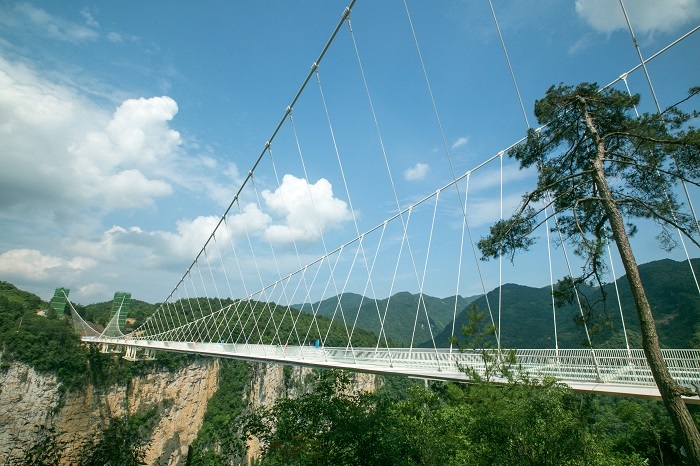 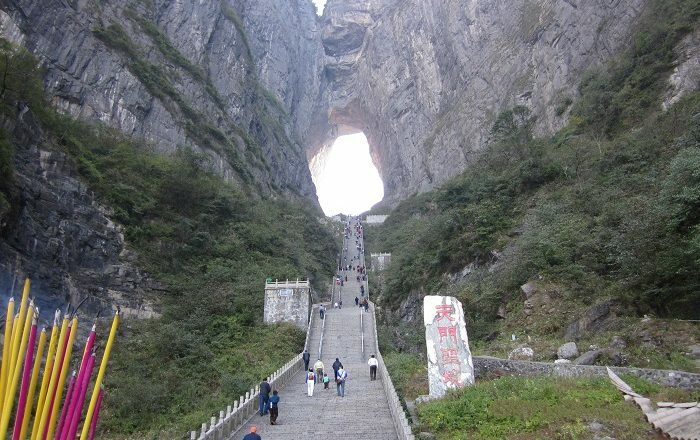 The main peak which has a height of about 1,518 meters (4,982 feet) above the sea, is considered to be the ‘Gate to Heaven’ as it is the Chinese translation for the Tianmen Cave. 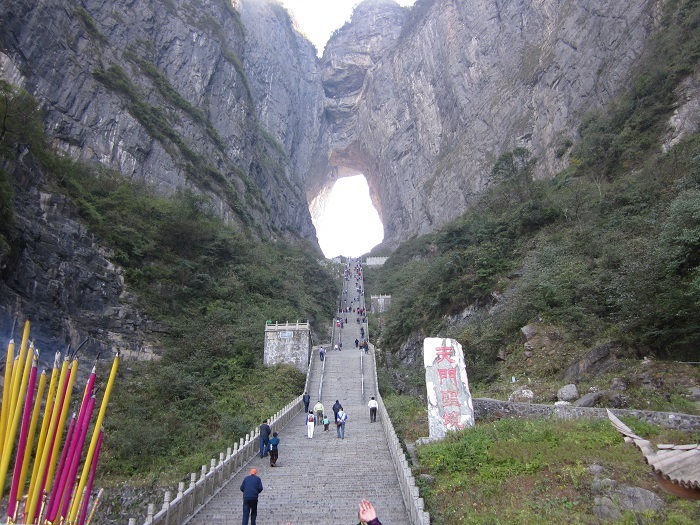 The Tianmen Cave until the year 263 was a closed cave, however, after the collapse of the one side it opened and today it is actually the highest naturally formed arch in the world, with exactly 999 steps that lead to this impressive place. 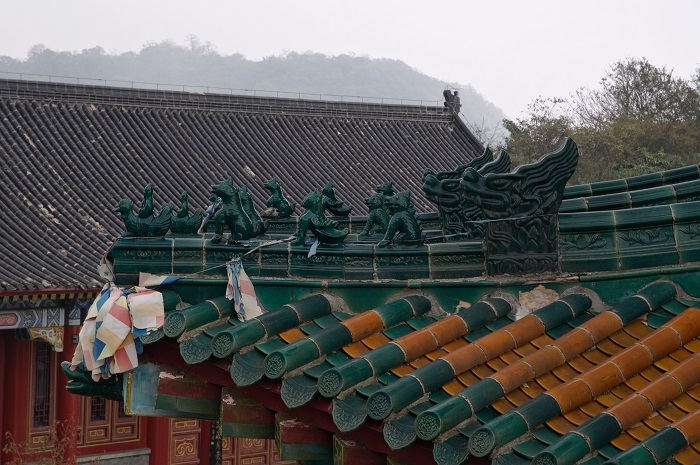 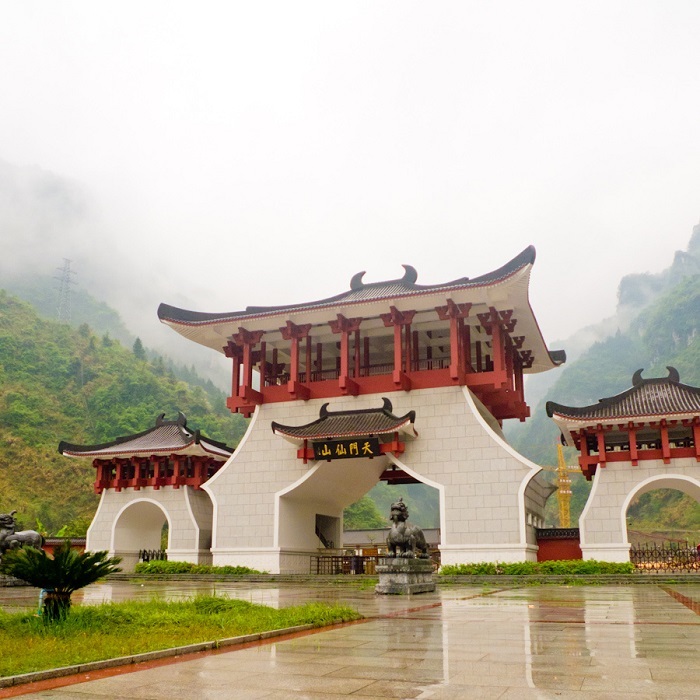 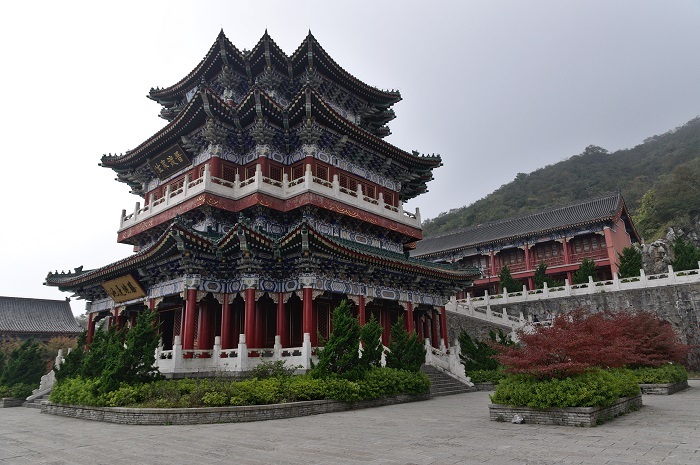 In addition, at the top of the mountain, there is the large Tianmen Temple which original temple was built during the Tang Dynasty, and nowadays a more recent structures that have architectural style from the Tang Dynasty occupy the area. 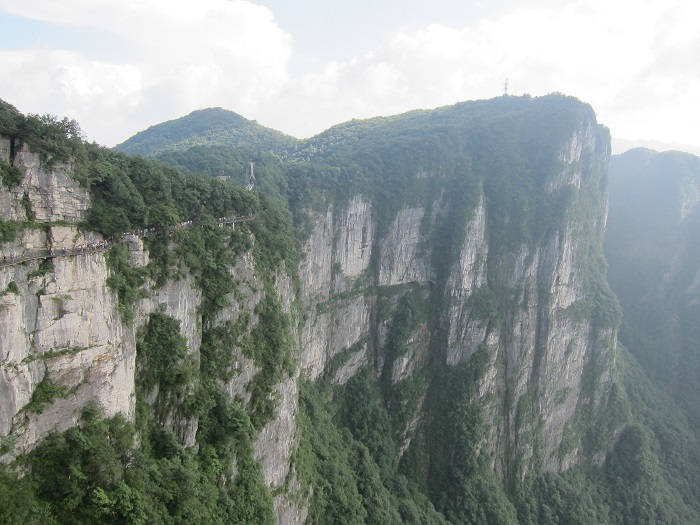 To get to it, one can arrive with, what is considered to be, the World’s Longest Cable Car Ride, which takes about half an hour to reach the top. 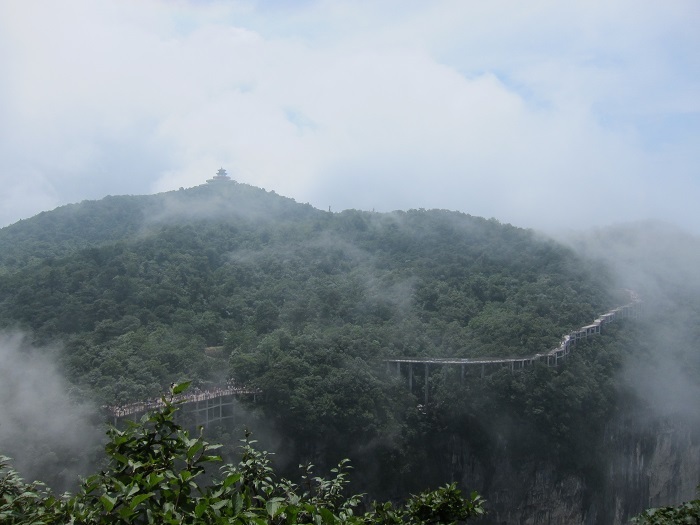 Still, the adventures do not stop there, and with the Cliff Hanging Walkway and Glass Skywalks which offer astonishing views of the surrounding park, the Chinese authorities made this place to be even more attractive to every single visitor who would like to see a different view of China. 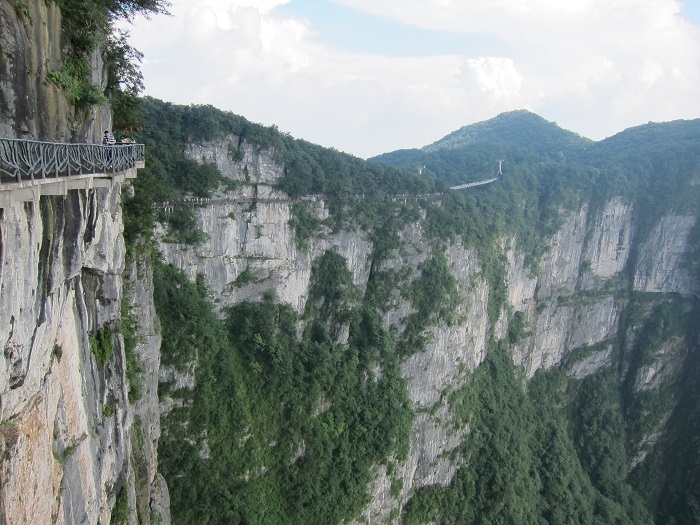 With so many wonders in one place, it comes as no surprise that Tianmen Mountain is well known around the world, especially when there are events such as the successful glide of Jeb Corliss who on 25 September 2011 glided with his wing-suit through the arch. 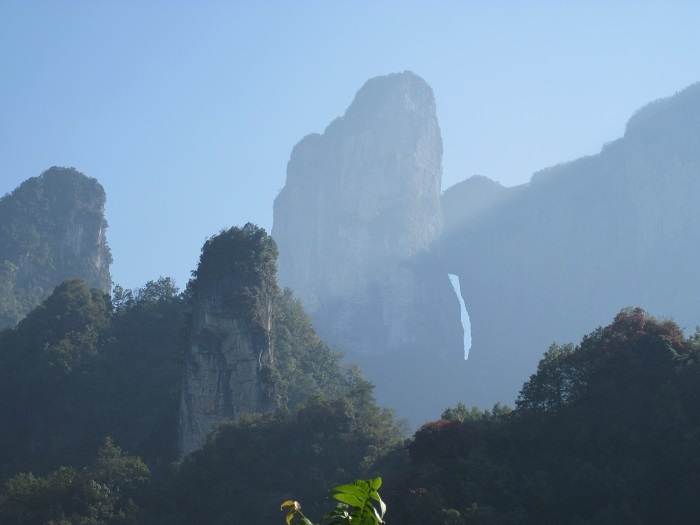 In conclusion, a definite Chinese landmark which should be protected from development and should be left as it is in order for every visitor to be able to see a different China which is giving a great inspiration.